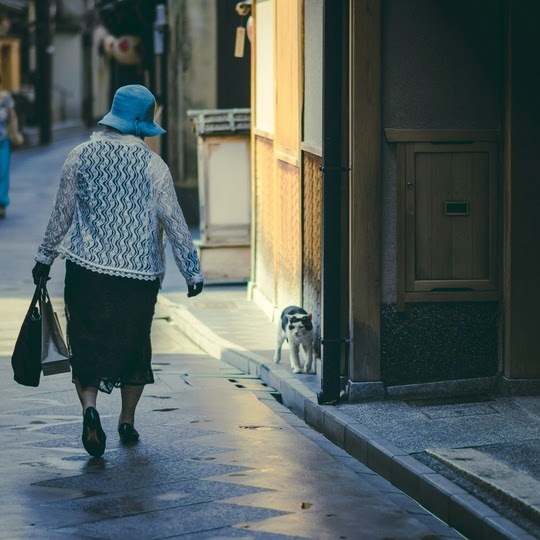 In 2010, wooden toy wholesaler Yutaka Katayama picked up a camera and started taking pictures of ordinary life in Kyoto, Japan. Since then photography has become an obsession. "It's my life's work," he says. 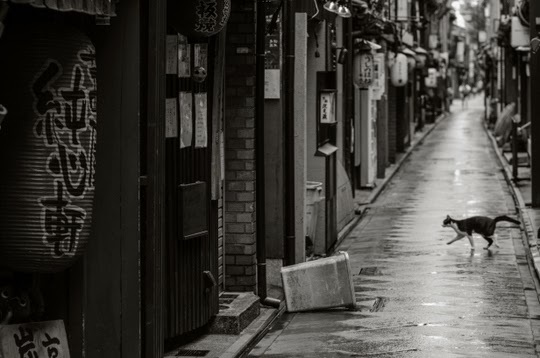 Katayama has taken thousands of pictures of the legendary ancient city that once was the imperial capital of Japan. 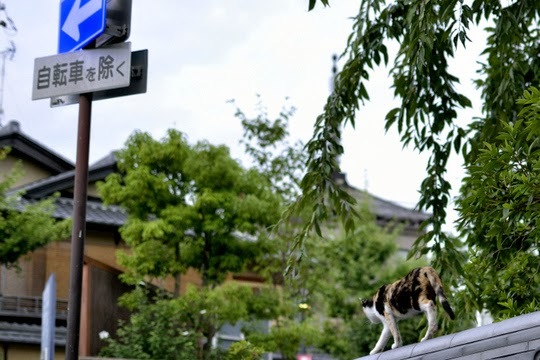 He has also found a favorite theme: the stray cats that are found all over Kyoto. 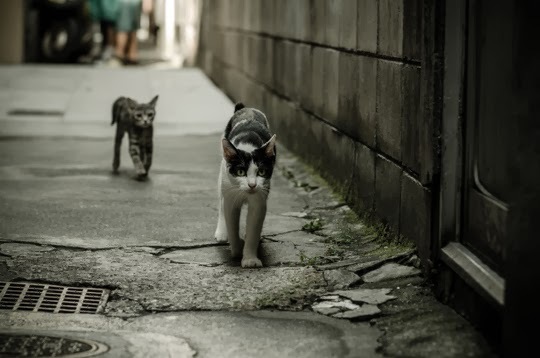 "I feel the strength to live from a stray cat," Katayama wrote. "They seem to live a quiet life always looking for food and a place to live while keeping well their distance to the human." 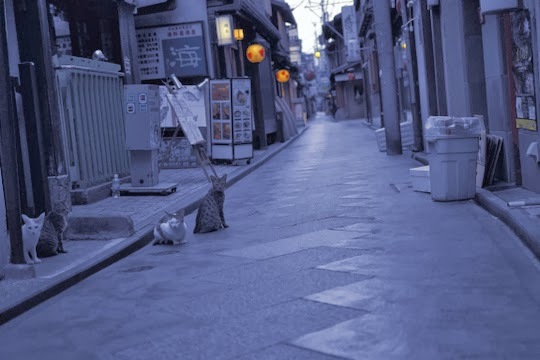 Katayama prefers to take pictures early in the morning when there are fewer tourists around (Kyoto has 17 UNESCO World Heritage Sites). 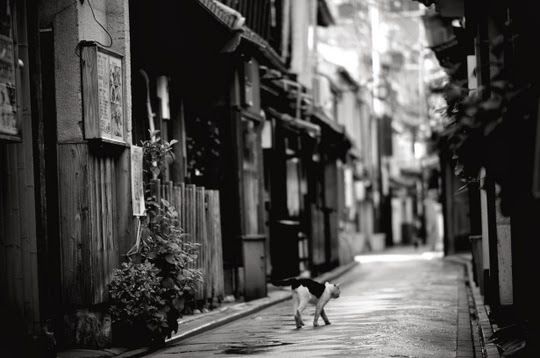 Like many cats, the photographer visits the same places over and over, where he hopes he will experience a new feeling every time. 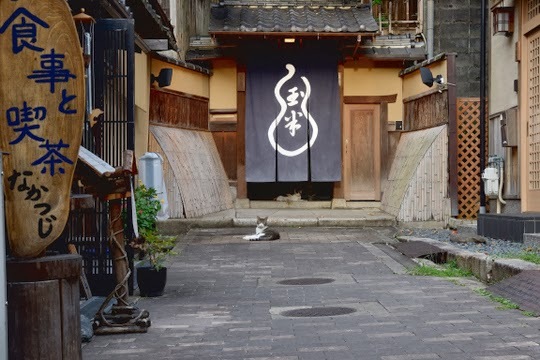 Cats from Kyoto are very beautiful !!!!! We enjoyed these photos!!!! meowloz teo everee one in japan frum trout towne N conga rats two ewe traveling cats on yur 2014 nose to nose blog nominations!!!!!!! Beautiful photos! I really love the first and forth ones. 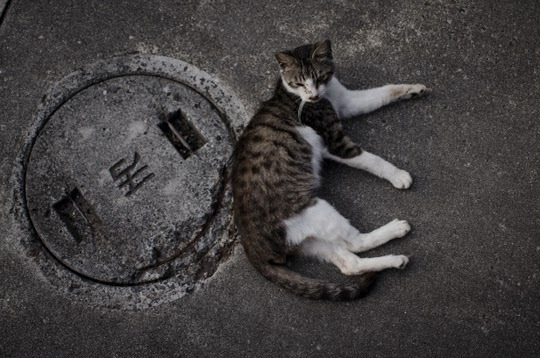 Beautiful photos but rather sad that there are so many homeless cats. 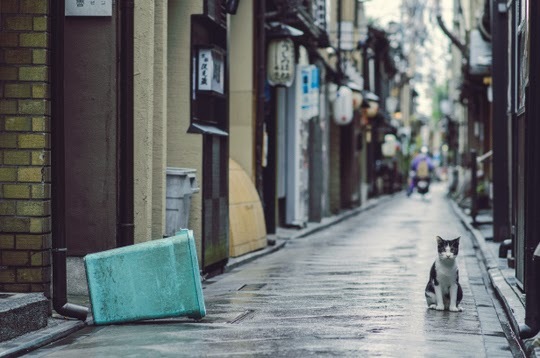 Great photos, so many cats. Wow!!! I LOVE that one of the cat jumping to the building!! What a great action shot!!!! 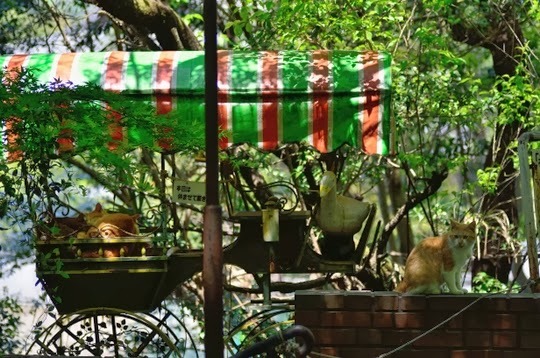 I like that shot of the jumping cat - fun! Hope that jumping cat made it! I have been there and didn't see one! Man, where was he GOING in the Side B picture?? Lovely bunch of cats - looking for jobs in the cat cafes no doubt! 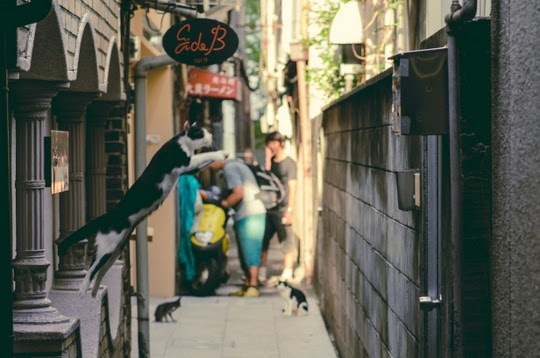 Lots of cats walking the streets in Japan. Beautiful! Love the action shot! Que ces photos sont belles ! The leaping one & the first black and white one are my faves! Great pics! J'aime bien ces photos de chats !